An organization that strives to keep learning will successfully evolve with the times. Koret aspires to be a learning organization that works collaboratively with its staff and grantees to meet the current and future challenges facing the community. Alison joined the Koret Foundation as grants officer in 2018, bringing over eight years of grants management experience to the role of improving grants systems and workflows. 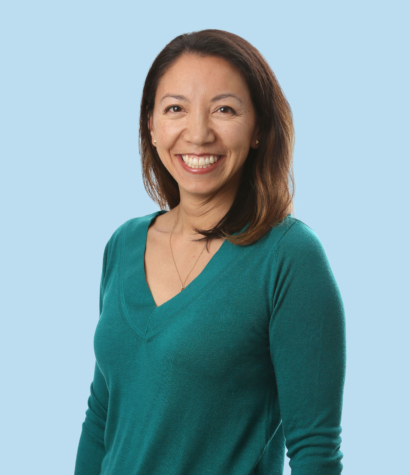 Previously, Alison served as the community impact program officer of the Jewish Federation of the East Bay, and prior to that was the senior grants manager at the Marin Community Foundation. Alison holds a bachelor’s degree from Tufts University where she majored in International Relations and Spanish. Born and raised in San Francisco, Alison now lives in the East Bay with her husband and two sons. Always up for a physical challenge, Alison has completed a half marathon, a sprint triathlon, and more recently, her first Spartan race. She can often be found cheering on the sidelines of her sons’ basketball and baseball games or trying new ramen restaurants with her family.